Gwinear-Gwithian Parish Council also manages the Gwithian Green Local Nature Reserve along with the Gwithian Green Advisory Group a body of people with specialist skills in the ongoing maintenance and nature programme needed to keep a Cornish Nature Reserve. 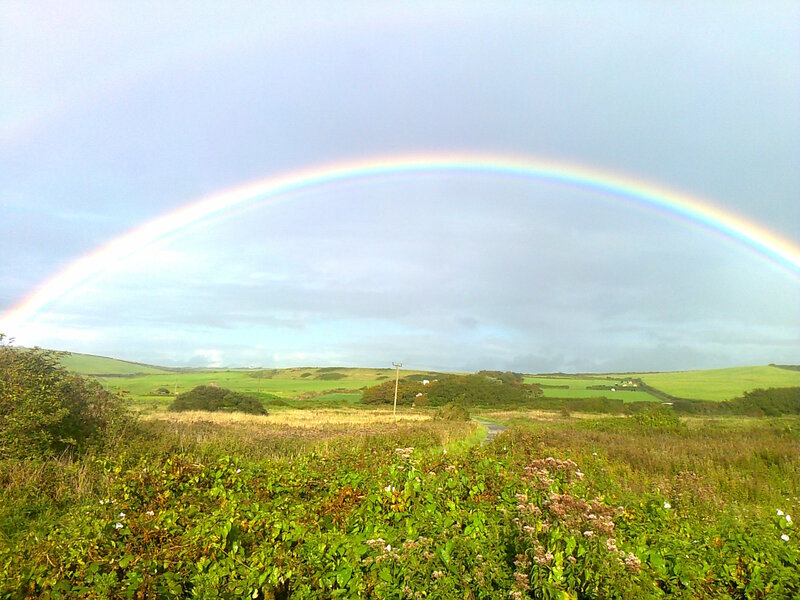 Gwithian Green occupies an area of 15 acres and is situated approx 800m from the sea. The underlying geology of the area is Devonian Mylor Slate and the soil is mainly wind-blown calcareous shell sand and acid clay. A low Cornish hedge, mainly covered in vegetation, marks out the boundary on three sides with two of the sides being surrounded by farm land. 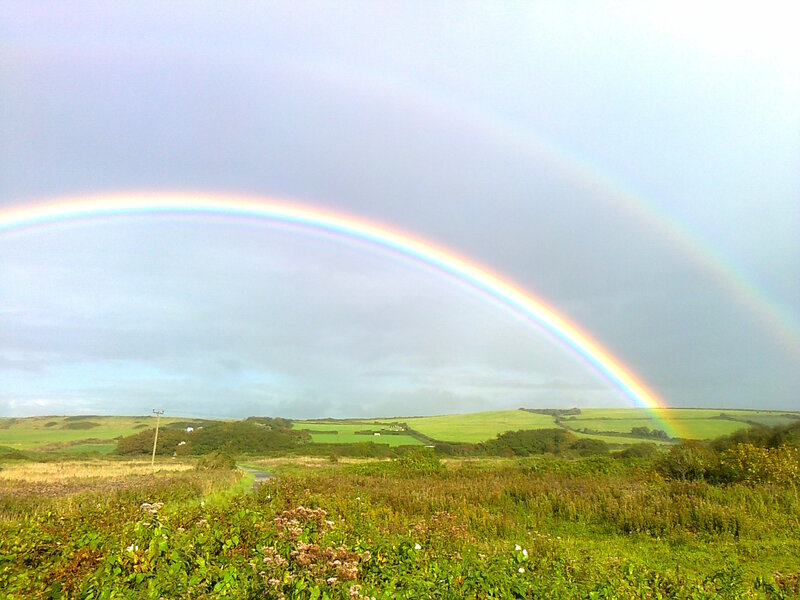 Gwithian Green was granted the status of Local Nature Reserve in 2002. The Green was formally registered as a Common in 1968 under the Commons Registration Act 1965. Two rights of pasture were registered in respect of this land. Neither commoner at present uses the Common to graze animals. There is no known owner of the Green but Gwinear-Gwithian Parish Council has responsibility for its management and has established an Advisory Group to advise on matters of policy and management. 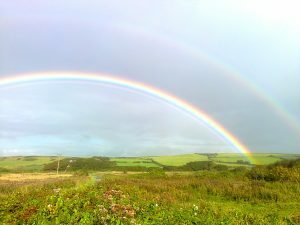 Gwithian Green is very unusual in having such rich bio-diversity and variety of habitats and wildlife within a small area. There are 8 identified habitats. Four of these are listed as priority habitats in the UK BAP list* These include Dune slacks ,Wet Woodland, Cornish Hedge and Wetland/Damp Acid Grassland. Additional habitats present on the Green are Marshland/Fenland, Dune Grassland and Stream and Pond Communities. Of particular note is the hydrology of the Green. One main stream runs east to west through the Green to join the Red River. This stream is fed by at least three smaller streams and a drainage ditch from the main road and plays a vital role in maintaining the wetland areas of the Green. There are also three ponds and a number of Dune slacks which are hollows in the dune grassland, often filled with water during winter and spring, but later in the year, accommodating a rich variety of flowering plants. Dune Slacks are protected by the EC Habitat and Species Directive 1992. As many as 316 species of flowering plants and ferns have been recorded over the past 30 years with 237 having been recorded since 1999. There is limited recording of lichens with no recording of fungi or mosses. There is one plant listed in the Red Data Book** as threatened with extinction (Western Rampling fumitory) and four listed in the same book as Nationally Scarce. (Sharp Rush, Autumn Squill, Late Cuckoo Pint and Musk Stork’s-bill) . 84 species of both breeding and summer and winter visiting birds have been identified over 20 years. 3 Birds have been red listed and are also UK BAP Priority species (Sky Lark, Song Thrush and Reed Warbler). Over 25 species of butterflies have been recorded, including Small Pearl Bordered which is a UK BAP priority species. In the ponds and streams there are common frogs toads, palmate newts, damselflies and dragonflies. The whirlygig beetle in the stream is listed as Nationally scarce . In 1992 Cornwall County Council’s Countryside Service negotiated a 10 year Countryside Stewardship Agreement (CSA) between DEFRA and the Parish Council to enable conservation work to be undertaken with a small yearly grant of approx £680 This was renewed in 2002 for a further 10 years after which the Scheme comes to an end. The Parish Council will need to make an application to the new Entry Level Stewardship Scheme in 2012. The establishment of a butterfly transect walk bisecting the 8 habitats took place in 1997. Butterflies have been adopted as a flag ship species by the Government and are a good indicator of the health of the countryside. Management work has focused on ensuring that the rich composition and structure of flowering plants beneficial for butterflies and birds has been maintained through cutting and mowing on a rotational basis, thus avoiding succession to scrub. 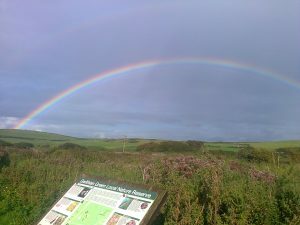 In order for Gwithian Green to be designated as a Local Nature Reserve in 2002, an “Integrated Site Assessment” was undertaken by Sally Foster, a local resident, with strong support from the Countryside Service. A very detailed Management Plan was included with nine long term objectives and 136 projects. The majority of these projects have not been completed mainly because the recommendation for a part time warden was not implemented. A Community Liaison Officer from the Countryside Services was employed for three years to cover the Green as part of a wider project. Management focused on minor repairs, rotational scrub and willow clearance and the removal of silt and vegetation from the stream and ponds. This has been achieved using students and volunteers as well as the contractors employed with stewardship money. 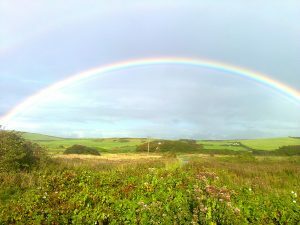 Since 2006, habitat management plans have been drawn up on a yearly basis by local residents with the help and advice of the Friends of Gwithian Group and approved by the Advisory Group. These plans have followed the work programme adopted by the Community Liaison Officer. *UK Biodiversity Action Plan (BAP) is an agreed Local and Government list of Habitats and Species that are declining and under threat of extinction. ** The Red Data Book List focuses on rare and nationally scarce species based on distribution.